Google has just launched a rival to the Facebook LIKE button which has gained an incredible popularity on the internet. It seems like Google is trying to implement yet another social connector (Buzz) to help them rank websites using human recommendations. Using the community to offer better search results and content is the ultimate way to get the job done for any search engine. For this reason, Google couldn’t let Facebook be alone on this concept and had to offer some kind of competition. Will the +1 button work? When will we see them appear on websites? How will Google use that new social connector and are they working on a Facebook killer? The great articles below discuss in a very deep manner some of these questions. But stay tuned as we discover more about Google’s strategy and the future of social media. Checks and Balances in Ranking Signals – Google +1 is part of a wide ranging network of social behavior signals that are designed to reshape Google’s ranking algorithm. Is Google’s +1 Search Results Feature Useful for Marketers? – With several failed attempts at traction with social apps, is Google’s latest attempt something marketers should pay attention to? 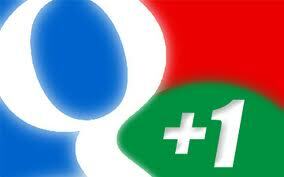 Google’s +1: Searcher, Webmaster & Advertiser Feedback – By now, you have all heard about Google announced the the +1 button. It is basically a way for you to share search results, ads and web pages with your friends. Everything You Need To Know About Google’s +1 – A Google rep answers questions about the company’s +1 announcement today. Google +1: What normal person would ever use it? – Google has launched +1 – a sort of facebook like button for its search results. If you see a result you like, you can hit the +1 button and then Google will reflect that information back in its search results in various ways. +1 Button: Bring Right Recommendations in Your Google Search Results; AdSense, AdWords, Google Apps and +1 – Recently Google started including information from stuff shared on Twitter, Flickr and other sites–in Google search results.Today, the search giant is enabling you to share recommendations with the world right in Google’s search results.